It certainly wasn’t an outcome that was expected by the flash sales company, Ozsale. The business uses an email-driven model to help fashion brands sell excess or surplus inventory to a database mainly comprised of women. Ozsale’s original model had been to send the same email to every customer, but the purchase of analytics and campaign management technology from Alterian (since acquired by SDL) gave it a greater ability to capture customer data and use that to create more targeted customer segments. But according to chief executive of the APAC sale group, Carl Jackson, creating smaller and smaller customer segments based on behaviour led the company to reduce the range of offers it was sending to those customers. While it is a common desire among email marketers to reduce the volume of email in favour of more highly-targeted communications, this can lead to a reduction in overall sales, as customers are seeing less content. “We’ve since stepped back from that a little bit and are now offering personalised, relevant content but to a very, very broad customer segment,” Jackson says. 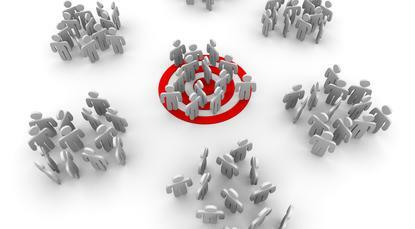 Today, Jackson says it is relevancy that is the goal of Ozsale, rather than highly-targeted customer segmentation. The company has developed six broad categories, ensuring it is able to make offers of products identified in adjacent categories to what customers have purchased previously. Ozsale has clearly got the balance right, and is now sending offers to 8.5 million email addresses across six countries in the APAC region, and is set to expand further. The SDL tools enable it to capture a wide range of behavioural data, from click throughs and purchasing data to measures of how long customers spend hovering over certain offers. Even so, Jackson says he is taking a cautious approach to how far he pushes the technology, particularly regarding those possibilities around its core activities in email marketing. “We’ve gone through explosive growth, and there is lots of great stuff out there,” he says. “But we have been very focused on doing the things that work, and not getting distracted around the other channels and the other pieces of engagement.